With a mind conquered by perceptions and biases towards this new town, I looked for my bag on the conveyer belt at Indira Gandhi International Airport. A journey of not more than three hours had somehow been really stressful thanks to the extra halt. So being a perfect gentleman, I lend my hand to help a fairly good looking fellow traveler to pick up her heavy suitcase off the belt. Then I tussled with a man who picked mine thinking it belonged to him. As soon as I stepped outside the airport, millions of body cells died with air conditioning being suddenly replaced by scorching heat of Delhi summers. It was just a beginning. And it began with me arguing with a taxi driver over fare. Ultimately we decided to settle for an amount much closer to what he had quoted. It gave me a pseudo satisfaction. That’s Delhi for you. This town is mostly about outsmarting each other. Be it a cab driver, a colleague, an auto guy or someone you thought was a good friend. You do have a choice. To let them win the argument and flaunt a white flag, but that’s what you come here for. This town teaches you a lot more than that. A metro is its lifeline and one of the best things you can come across. 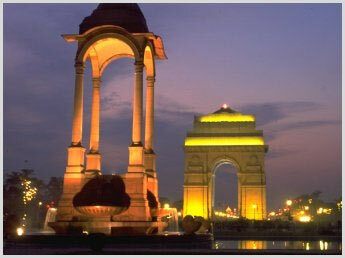 But its youth is what drives this town…it is what makes Delhi so vibrant and lively…through day and night. Guys – with their collars pulled up as much as they could and Girls – making it big against all odds in a town that is known for anything but safety; they can outwit you even before you know it. Fights, struggle, hope, dreams, money…these paint Delhi into a young colourful canvas…if you have the eyes to see it. From gullies selling Parathas to a fleet of shopping malls…from Steamy Momos to Hookah and Beer mugs clashing at one of the hundred packed lounges at Central Park…from freshly graduated crowd of English literature of best of universities in our country to people tapping their feet to the tune of any random Punjabi rap song…Delhi is a joy ride that’s completely up to the traveler’s discretion.